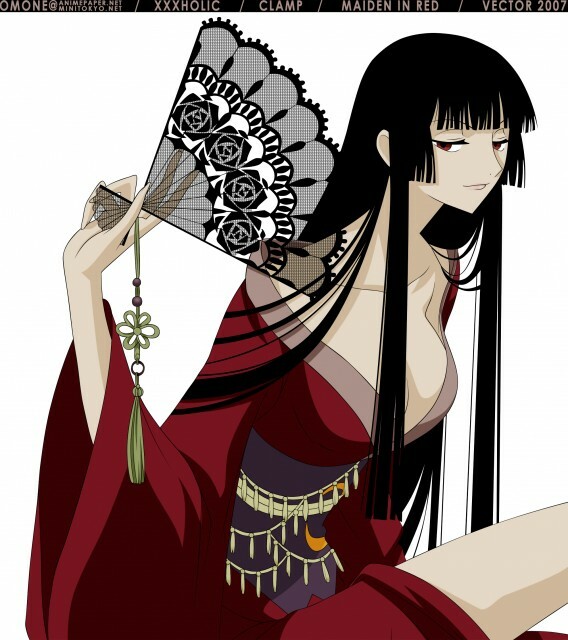 I hope I can finish them all in the near future but in the moment I am starting to dislike xxxHolic. It is just too much. Okay now something blahblah about the vector itselfs. 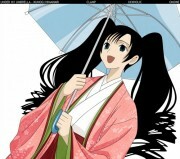 I didn't vector Watanuki. I just didn't like him on the scan. Sorry Watanuki-kun! I vectored those, I don't know how to call it, golden details on Yuuko-san's dress but they look so awful that I deleted them. It looks better without it. For the fan I used a pattern which I made by myself. There isn't so much to talk about. Edit 6/11: Edited somecolor mistakes. Thank you Abul-kun for telling me. *_* Wow! You vector extremely fast! Anyways, it looks awesome~ The fan seems creepy XD It must have taken you a lot of time on the fan. wow! beautiful! it's very detailed and the work It's just awesome, everything it's just perfect! stop joking, I like your work very much and hope to see other ones. Like this vector so much, thanks!